In today’s blog, you’re going to learn the secret to scaling and growing your fitness business to massive success. Let’s talk about scale. When you start getting lots of leads, whether the leads are from low barrier offers or they’re from two or three session workout trials, sooner or later you’re going to say “Holy crap! I’m getting 20, 30, 40, 50 leads a week!” If you keep attempting this whole Facebook marketing, email marketing, and getting referrals thing, you’re going to get a huge payoff. Now, through Facebook, we can do that. When you find yourself getting 15, 30, 100 new leads and low barrier offers coming in from a promotion in a week or two, there’s no way you’re going to be able to close them face to face. This is where scale component number one comes in handy – you have to learn to scale your closing skills. Number one way to scale your closing skills is to start doing group closing and group orientations. That way, you’re not always selling face to face, belly to belly. You can close with a larger number of people at one time, right from your computer. Awesome, right? Now, comes scale component number two: finding the right staff. In a perfect world, you would have a cloning machine that you can step into and clone say, 10 of you. Of course, no one cares about your business more than you. We all know that. The reality is, you can’t clone yourself. You are going to have to look for trainers. You’re going to have to look for staff. Where do you find the best staff? You’re going to put a call out to your Facebook fan page and to your personal page. You’re also going to send an email out to your email list. Reach out to your inner circle first – your community, Facebook, Facebook fan page, your email list, and your clients. Your clients will end up being some of the best trainers for you. I think it’s worth your time to say, “Look, go get certified, pay for the certification, and after 90 days of you working for me, I’ll reimburse you for your certification.” In fact, I know it’s worth your time, because that’s how I grew my five gyms. 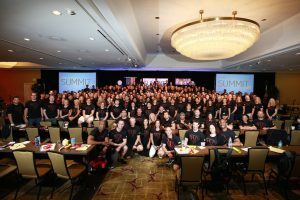 That’s how we grew hundreds of Fit Body Boot Camp locations. Skill number three in scaling is that you have to be a great leader, and you have to be a good interviewer. One of the formulas to scaling is leadership, communication, and being able to read others. For that to happen, you have to sit across many people, and this is why I highly encourage Close Clients when you first start out. There’s no better way of understanding human behavior than through Close Clients because you’re dealing with one person at a time. You’re learning their objections. You’re finding out the conditions in their lives that they can’t necessarily get over, which means they can’t sign up unless you can help them overcome that condition or overcome that objection. That is some serious social behavior learning. But to take that up a notch, get people who want to potentially work for you, and influence your clients and interview them. After you’ve interviewed 15, 20, 50 people, you’ll see commonalities of the trainers who are maybe not cut from the cloth that you want them to be cut from. Then, you’ll see commonalities of trainers that have the qualities you’re looking for and make you think, “man, he or she is going to make a great trainer.” You’ll see common traits of what to look for. Skill number four is when you go to replicate and duplicate more locations. Where your scale of your business is concerned, if you are not delivering the nutritional results as expected, that’s a very big hole in your bucket. Even though you’re adding clients to the top, you’re going to have attrition, which are the clients leaving at the bottom. The reason clients leave is for only two reasons: either they don’t feel a sense of community, love, and appreciation, or they’re not getting results. If they don’t feel they belong or they’re not getting the results that they expect, they’re going to leave. Of course, when you have an attrition problem, you are missing out on the fifth thing of scale, which is referrals. Your best leads, your best clients, and your best prospects come from other clients. That’s just the reality of it. When a client refers another client, that person comes to you pre-sorted, pre-screened, pre-qualified because they trust their friend. 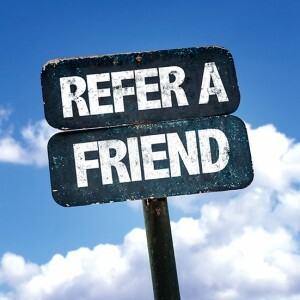 I always teach you guys to make referral giving a condition of doing business with you. That’s all great. You’re setting the condition, but they’re not going to agree to the condition if you’re not giving them the results that they expect. That piece is a vital component that personal trainers miss. They think that as long as they give great workouts and give them a guideline of foods to eat and foods to avoid, that’s enough. It has to be constant education, constant reinforcement and monthly fitness evaluations. Because if they don’t get the results, and they don’t feel they’re part of a community where they’re loved and accepted, they’re going to bounce. You’re going to know they’re about to bounce when you start noticing you’re not getting referrals from them. Scale component number six is you are going to need an assistant. Believe it or not, that assistant will make more back for you if you train them right. A good assistant’s job is to follow up with leads, and get them in front of you so that you can convert them into paying clients. If an assistant is able to take, let’s say, five leads a week, and there’s four weeks in a month, that’s 20 leads. If you close 10 of them into paying clients, that assistant more than paid for themselves. Don’t you agree? If each month they’re they’re following up, reaching out to them, Facebook messaging them, texting them, emailing them, calling them, getting them back into your ethers, each month you’re adding 10 more clients. Within two months, that assistant is paying for herself or himself. Within three or four months, they’re already making you money. Let’s say you don’t have an assistant, and you’re at that breaking point where you’re like, “Man, I’m overwhelmed. I’m doing the marketing. I’m doing the selling. I’m doing the training. I know there’s leads coming in and calling and reaching out, but I’m not getting to them fast enough, so they’re falling in through the cracks”. You, my friend, are missing out on scale component number six. Get an assistant who’s going to do monster follow-up like nobody’s business. In addition to the follow-up, of course the assistants are going to do all that other stuff like greeting the clients, or up-selling them to supplements, or whatever the case is. And if a client hasn’t showed up for a few sessions, they should know that. The assistant should follow up and make sure that that client’s going to come in. If a client misses a few sessions, before you know it, it becomes a new lifestyle and habit of being sedentary. Then, they’re going to cancel. 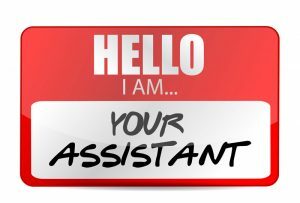 An assistant has many roles, but one of the biggest roles is to follow up with the leads who have shown interest, and to get them in no matter what. That’s the secret to growing and scaling your fitness business and building it into an empire.